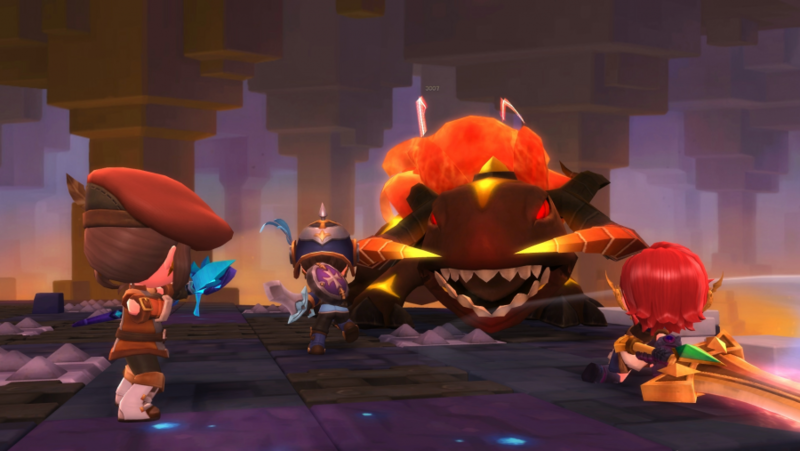 MapleStory 2 is not what you might have come to expect from Korean MMOs – neither overearnest, nor obsessed with the rush of levelling for its own sake. Instead, this is an MMO for those who love stories and exploration. Within minutes you can be accidentally setting fire to an anime Hogwarts as a wizard delinquent. Then the game shifts gears – insofar as horse-drawn caravans have gears – and you’re facing off against a bunch of vile villains… with wings. This is a fantasy game, after all. A lot of game developers lose their sense of humour when faced with building a fantasy world, but MapleStory 2 has comedy baked into its very being. From its reluctant yet impatient protagonist to its somewhat irresponsible authority figures, the game’s epic story hits different beats than other MMOs – even while satisfying the nostalgic need for RPG heroes and villains. Getting around that world is a new prospect, too. MapleStory 2 is viewed from on high, which lends its land to exploration, and distinguishes it as an MMO that isn’t simply chasing after World of Warcraft. You might remember the original MapleStory as a side-scroller, unusual in its genre for making use of vertical space. With MapleStory 2 the series has transitioned into 3D – but that shouldn’t be taken as a sign that it’s become more conventional. 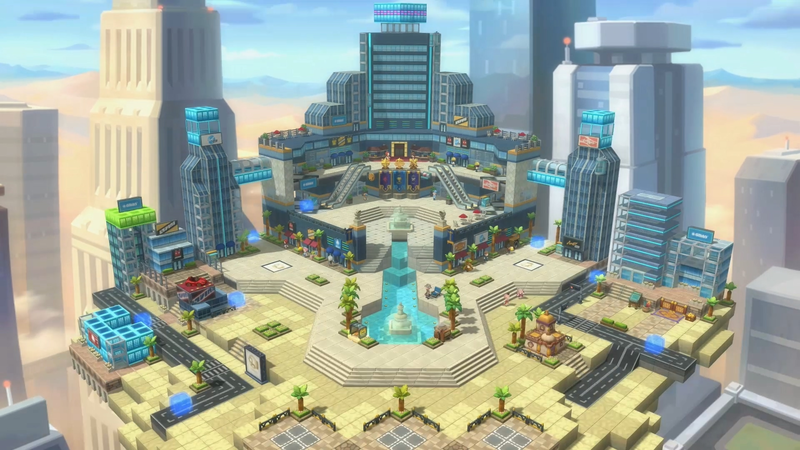 Rather than a third-person RPG, MapleStory 2’s world is made up of isometric dioramas, retaining its cute and accessible presentation. It’s attractively blocky, both in the tiered lecture halls of magic school and out in the wide world, where the oaks are so tall they could contain a whole street of tree houses. It’s no less vertiginous either, since you can climb any surface in the game. Exploring feels like exploring, rather than simply legging it from one exclamation mark to the next. 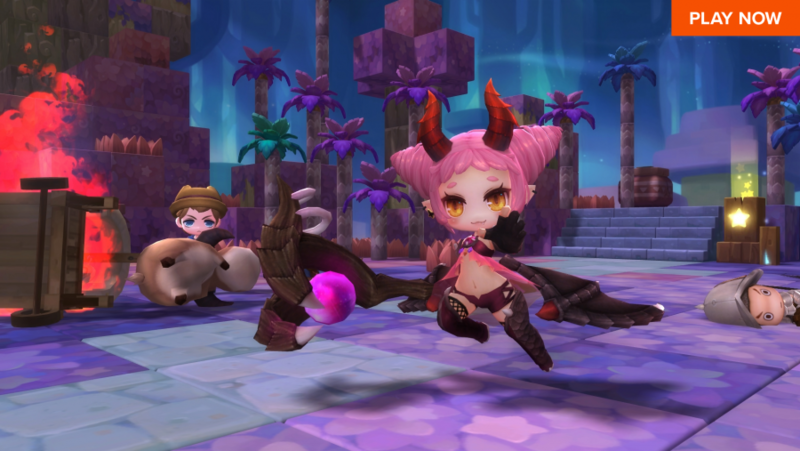 MapleStory 2 has a stylised aesthetic – so much so that its wizards are taught specifically how to deal with the disarming threat of “cute monsters” – but there’s still plenty of styling left to do yourself. The game begins with character customisation that’s, well, more characterful than you might be used to – we paired a ‘Lovely Breeze’ hairdo with a ‘Scoffing Face’. This is an editor very much in tune with the priorities of its audience, allowing you to determine the exact size and position of your pigtails. The customisation extends even beyond the locks that brush against your elbows. You can not only craft and smith accessories, but upload your own designs for weapons and armour. The sense of freedom only expands as you get deeper into the design of your fantasy character. Colour your hair green and your eyes red – nobody here will stop you from expressing yourself. The spirit of adventure may be eternal, but eventually the nomadic lifestyle of MapleStory 2 needs to be supported with rest, and so at some point it’s time to settle down. Thankfully, the game grants you the ability to carve out a space for yourself with your own house. Rather than simply a glorified treasure chest in which to dump your stuff, MapleStory 2’s house system allows you to buy and place furniture manually, as you would in a domestic builder like The Sims. It’s an idea that gels nicely with the game’s charmingly presented cuboid world, while also leaving room for plenty of complexity should you seek it out. If you’re feeling ambitious, for instance, you might want to create a circuit system for your appliances. Rare is the RPG that accurately represents the importance of white goods. It’s possible to hire staff and start a farm – or stuff your mansion with expensive objects and invite your friends over to see how the other half live. If that’s not company enough, you can convert your home into a pub and welcome perfect strangers instead. Clambering over the scenery in MapleStory 2 isn’t just a way to keep yourself entertained on the way from quest A to quest B. Every map in the game has specific exploration goals to complete, whether that’s catching a taxi from Lith Harbor, or taking in Tria’s graffiti. 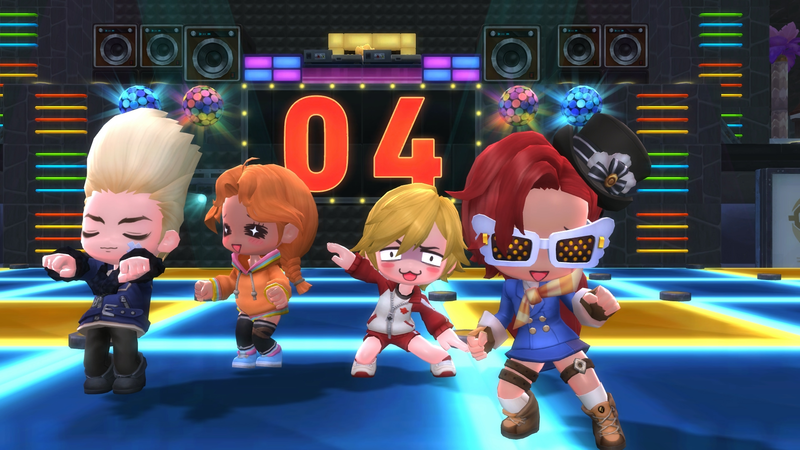 It’s the kind of encouragement to engage with the world that MMOs so rarely make time for – though, MapleStory 2 finds space for the traditional satisfactions of the genre, too. There’s an epic story quest, plus challenging dungeons and raids, which you can play through as a knight, berserker, wizard, priest, archer, heavy gunner, thief, assassin, or the brand new runeblade. 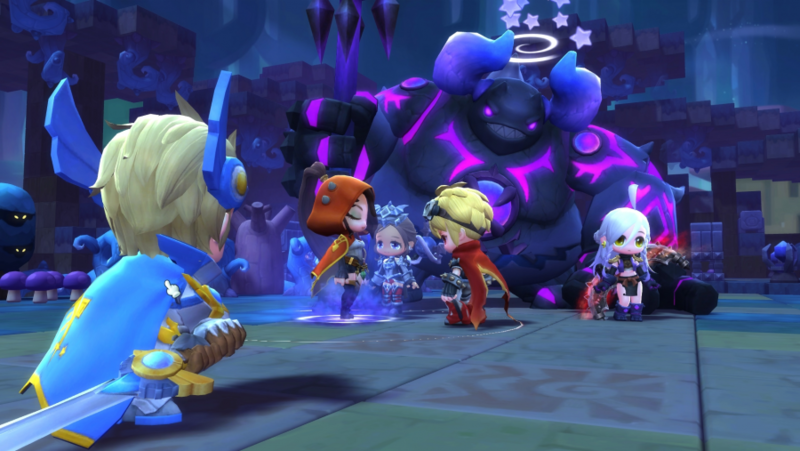 MapleStory 2’s class roster has expanded since it was released in Korea three years ago, so now you get a wealth of options when deciding how you’ll play through the game. Pick a class and set out to save the universe from evil, basking in the melodrama and all the laughs you’ll get from MapleStory 2’s frequent knowing winks to RPG convention.